You know I’m a fraud, right? It’s not deliberate, I promise. It’s just…sometimes when I am writing this lovely advice about how to deal with life and loss, I am actually writing words of advice to myself, too. Sometimes I share things I have literally done which have helped. Other times I write about what I think I should do – or how I think I should handle a situation. For example, yesterday when I wrote about making each today a good day (rather than waiting for a better tomorrow to arrive), I meant what I wrote, but then – TODAY – ironically, I bottomed out. Leaving me feeling like a hypocrite. “Thank you!” I replied from my hiding spot under my desk, where I’d been frantically trying to get ahold of my therapist. (Okay, I wasn’t actually under my desk, but I’d thought about it). The truth is, I am much more Karate Kid than I am Mr. Miyagi. Within the last eighteen months I have dealt with the sudden loss of my father, as well as the masculine to feminine metamorphosis of the father of my children. (As I said to him a while back – “So you’re telling me my ex-husband is actually a lesbian?” Between he and I, there is almost always humor, Thank God). Sometimes I think I am living in a John Irving novel. I also feel a relentless emotional and physical pull toward a man who won’t let me close to him. (While this isn’t as impactful as the aforementioned items) I can’t help but be influenced by his tides whenever we share the same orbit…which is often. It is continually and inexplicably disorienting. Between the man I’ve lost, the man who is (in a sense) disappearing before my eyes, and the man who seems to forever leave me wanting…sometimes it feels hard to breathe…like the wind has been knocked straight out of me. I have come to recognize this particular sensation of discomfort…and recently I’ve discovered it has a name – Post Traumatic Growth Syndrome. So, I don’t think we are butterflies, not really. I think we are lobsters. In life, we don’t just go through one period of personal growth. At least, I sure hope not. We have many opportunities to discover and redefine ourselves…often after periods of great struggle, discomfort and vulnerability (sometimes manifesting in a desire to crawl out of one’s skin). 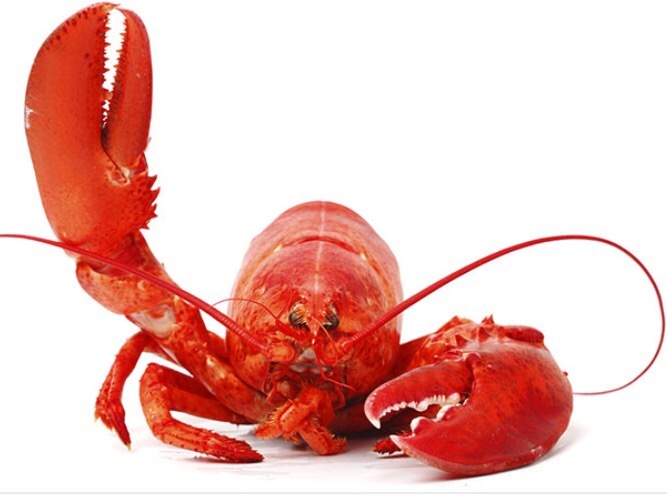 Many, many times in the life of a lobster, she becomes uncomfortable in her skin…she wants to crawl out of it. She sheds her old hard shell so she can grow into a new, larger one…to expand her being. While the new shell is developing, the lobster is at her most tender. It is a period of great vulnerability. So perhaps, like the lobster, we continue to molt – over and over again – exposing our tenderness and vulnerability for a while…until we grow a new and larger shell…and then we wait, until it is time to become vulnerable once again. We are forever evolving into iteration, after iteration, after iteration of ourselves. So, I think in life one should not strive to be a butterfly at all.